Lauren is an internationally renowned electric violinist, performing her own unique sets of pop, Bollywood and fusion. 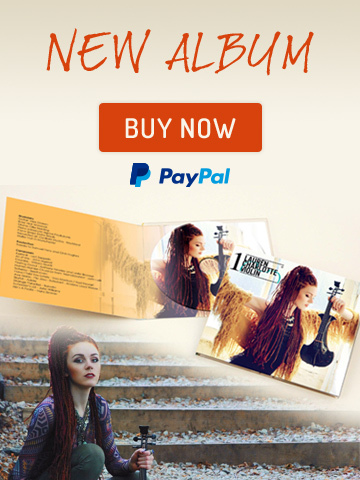 Lauren studied a classical degree in violin performance at the Royal Northern College of Music and has since been developing her own unique fusion style on her electric violins. Lauren has performed in over 46 countries in the last 2 years, highlights include shows for Vogue in London, GMC in Kuwait, Grand Mall opening in Muscat – Oman, car launches in London for Bentley and Land Rover, private shows in Switzerland, India, the Maldives, Abu Dhabi, the USA and exclusive events in Pakistan. Lauren has performed for intimate audiences of 10 guests through to arenas of 15,000 and has a wealth of experience and knowledge allowing her to tailor her performance to each event. With a vast repertoire of contemporary pop, dance, house, Bollywood and fusion music, Lauren has amazed her audiences worldwide and currently has created a respectable YouTube following from the UK, India, the USA, Indonesia, Pakistan and Malaysia. Lauren is available for corporate events, luxurious weddings, private parties and shows. Based in Manchester & London and available to travel worldwide. In 2018, Lauren launched her debut Album which is now available to purchase on the ‘Album’ page. Privacy | © 2019 https://www.laurencharlotteviolin.com. ALL rights reserved.